PAUL A. OFFIT is a pediatrician specializing in infectious diseases and an expert on vaccines, immunology, and virology. He is the co-inventor of a rotavirus vaccine that has been credited with saving hundreds of lives every day. Offit is the Maurice R. Hilleman Professor of Vaccinology, professor of Pediatrics at the Perelman School of Medicine at the University of Pennsylvania, chief of the Division of Infectious Diseases, and the director of the Vaccine Education Center at The Children's Hospital of Philadelphia. He has been a member of the Centers for Disease Control and Prevention (CDC) Advisory Committee on Immunization Practices. Offit is a board member of Every Child By Two and a founding board member of the Autism Science Foundation (ASF). 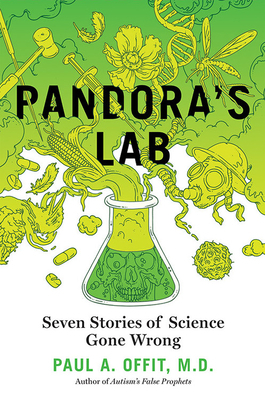 "A fascinating and sometimes shocking look at how science can sometimes lead to disaster."